Fig. 2. 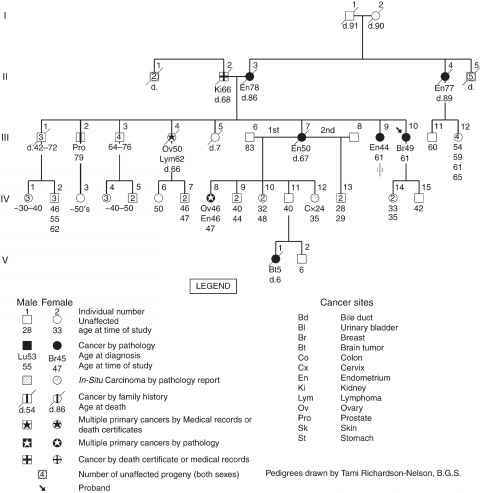 Pedigree of family showing endometrial carcinoma in five women through three generations (Republished by permission from ref. 5). would warn you that the growing number of papers based on the statistical analysis of the cause of death as certified on death certificates are not worth the paper they are written on. Nothing can take the place of careful, extensive documentation. Only after you have done that, can you get out the slide rule and the log tables so beloved by the mathematician, but you cannot get out of statistics more than you put in." Although, Dr. Way made these statements 50 years back, the problems about which he spoke still exist, despite the fact that slide rules and log tables have given way to calculators and computers. Murphy (14) studied 201 probands with EC and had similar problems because of the lack of differentiation between EC and cervical carcinoma. He found an increased risk for uterine cancer in relatives of affected propositi, but it was impossible to assess whether this risk was for cervical carcinoma or EC. Having pooled the data for EC and cervical carcinoma, he states, "...We have combined the figures for cancer of the cervix and fundus because examination of the data convinced us that separation is impossible. Fig. 3. 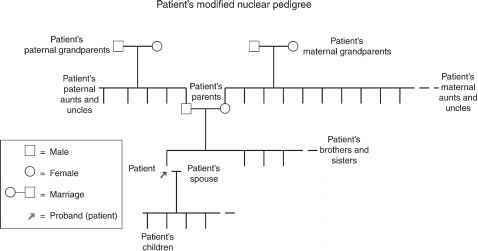 Patient's modified nuclear pedigree. 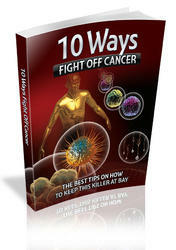 A high proportion of reported uterine cancer in our data is, we believe, really cervical cancer." 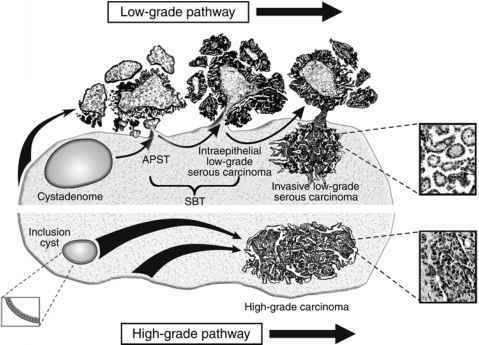 Studying these lesions in combination is entirely inappropriate, as they have different cell types, histologies, and expectantly, different etiologies.